El Puerto WiFi is an initiative developed by El Puerto de Santa Maria City Council, through the municipal technological company El Puerto Global, and it is part of an ambitious Modernization Plan of the city. To this end, this network has an implementation and development program that has already begun with the installation of a series of WiFi spaces, and that will see its number increase progressively in strategic areas of the city. 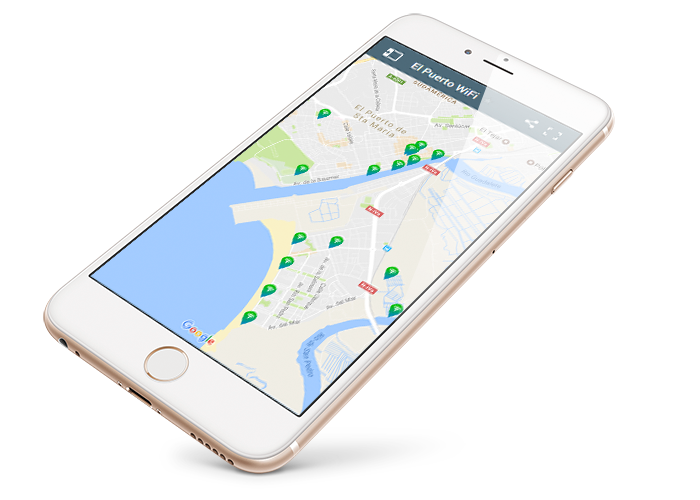 In order to use El Puerto WiFi, you just have to place your WiFi device in any of the active areas of the city, and access elpuertowifi.es. The first time you connect, you must register in the system (elpuertowifi.es) to obtain an user with which you can connect with the connection mode you prefer. In order to perform this user registration it is necessary to be inside a WiFi zone to access the option. In the today, you’ll find the different access points in the following locations. Located in the coverage map of the city available WiFi points. Want to see the exact location?